What is Pay As You Go Plan? Mailchimp pay as you go plan is a flexible plan designed for infrequent email senders, which includes additional features exclusive to paid plans. 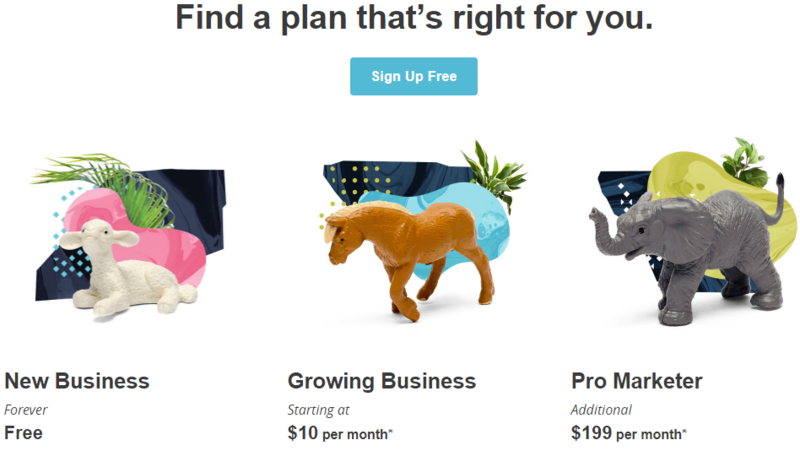 How does Mailchimp Pay As You Go Plan Works? The Mailchimp Pay As You Go Plan operates on non-expiring email credits that you purchase based on your sending needs. Credits are like postage stamps, where each email sent to an individual contact costs one credit. For example, to send one email campaign to 1,000 contacts, you would need 1,000 credits. This type of plan works best for infrequent or inconsistent email senders, such as users who send quarterly newsletters or promote seasonal events or offers. Credits are used for any attempted campaign send, including test emails, automations, and emails that bounced or were stopped due to compliance review. Credits are not deducted for signup form response emails. To send an email campaign, the number of available credits in the account must be equal to or greater than the number of planned campaign recipients. Mailchimp Pay As You Go credit blocks start at $9 for 300 credits. These credits cannot be used together with another MailChimp pricing plan, and cannot be used with the free plan. If you purchase credits while on the Forever Free Plan, you’ll be upgraded to the Mailchimp Pay As You Go Plan immediately, and any remaining Forever Free sends are not carried over. If you purchase credits while on the Monthly Plan, Mailchimp will stop your monthly billing cycle and switch you to the Pay As You Go Plan. To purchase Pay As You Go credits, follow these steps. Click your profile name, and choose Account. In the navigation bar, click Billing and choose Monthly plans or credits. Click Pay As You Go and choose a credit package. Review your transaction in the sidebar, type in your CVV, and click Complete Purchase. The auto-refill option helps streamline your billing process by making sure you always have enough credits in your account. To automatically refill credits, follow these steps. In the navigation bar, click Billing and choose Billing information. Under Pay As You Go Credit Refill, check the box next to Auto refill Pay As You Go credits. Use the drop-down menu to select the credit block you want to purchase when your credits are low. In the text field, enter a threshold number for minimum credits allowed in your account, and click Save. When your credits drop below that threshold, Mailchimp will automatically bill your account for the credit block you chose. If you don’t want to be automatically billed when your credits fall below a certain amount, you can choose to be notified by email instead. To set an alert, follow these steps. Under the Notifications heading, check the box next to Pay As You Go Alerts. When your credits fall below that threshold, Mailchimp will send you an email with a link to buy more credits.